Open House! - Maverick Realty Inc. 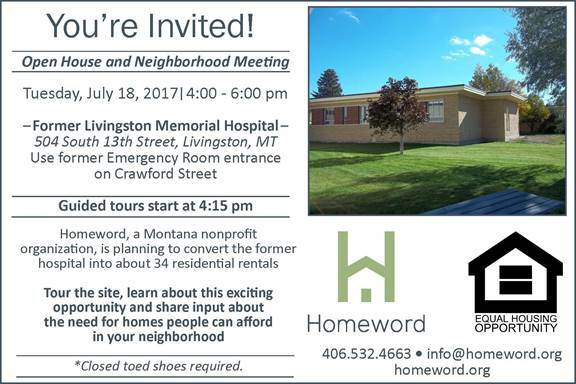 This is your opportunity to learn more about the former Livingston Memorial Hospital affordable housing project. Join Homeword on Tuesday for tours and an opportunity to give your input at the community meeting.